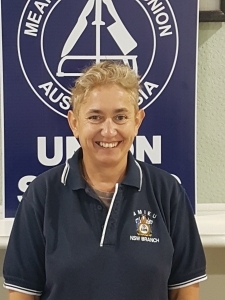 Patricia worked as a process worker at Inghams, Hoxton Park prior to joining the Union as an Organiser in 1992. Patricia is the organiser for Bega Cheese. 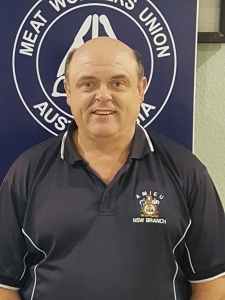 Mark has spent most of his working life in abattoirs, first at Fletchers, Dubbo then Southern Meats – Goulburn. Mark was the Union President at Southern Meats for many years. 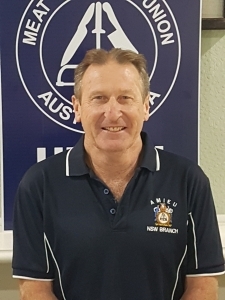 Responsibilities: Teys Australia – Wagga Wagga, Gundagai Meat Processors, Southern Meats – Goulburn, Rivalea – Corowa, Fletcher International – Dubbo, Junee Abattoir, Monbeef – Cooma, Cowra Meat Processors – Cowra, Manildra Meats – Cootamundra, JBS – Yanco, Albury Chicken Wholesalers, Deniliquin Abattoir, Hilltop Meats – Young. 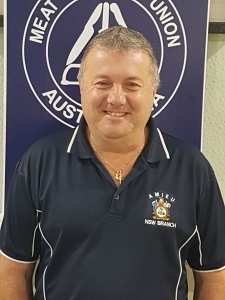 Stephen worked at Swires Cold Storage (Homebush) for 23 years in warehousing and distribution where he was a union delegate for 20 years, in fact, he is the longest serving delegate of our union. Sadly back in June 2016 the whole site was made redundant due to loss of several contracts and the sale of the site. Responsibility: Working with Michael Holden serving our members from Peppercorn Foods (Seven Hills), Cordina Chickens (Girraween), Red Lea Chickens (Blacktown), Baiada Poultry (Girraween), OSI (Blacktown), Ready Retail Operations (Eskine Park),Polar Fresh ( Eastern Creek), Pepe’s Ducks (South Windsor), Top Cut Meats (Marrickville), Beak and Johnston (Greenacre and Arndell Park), Wollondilly Abattoirs (Picton). 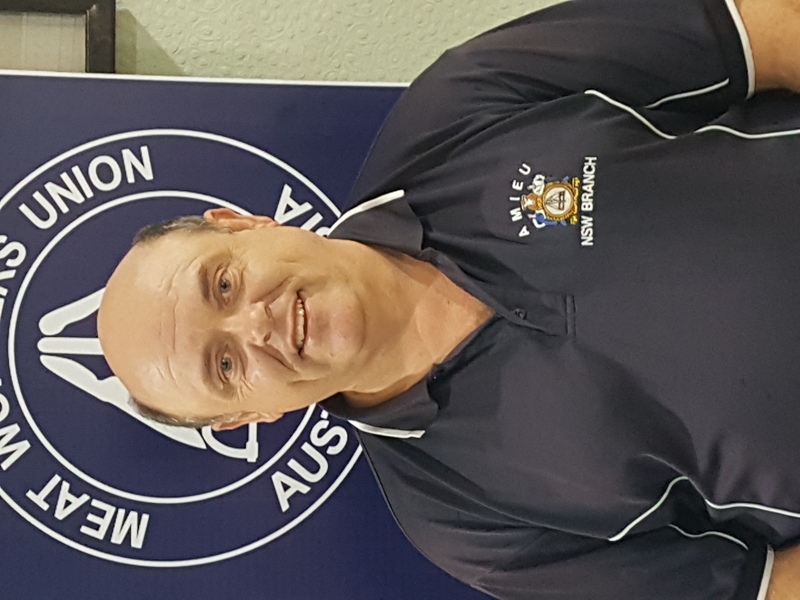 Michael is a Coles Delegates for 4 years from Stanhope Garden before joining the Union. Working with Stephen, they have been assigned to represent members from Peppercorn Foods (Seven Hills), Cordina Chickens (Girraween), Red Lea Chickens (Blacktown), Baiada Poultry (Girraween), OSI (Blacktown), Ready Retail Operations (Eskine Park),Polar Fresh ( Eastern Creek), Pepe’s Ducks (South Windsor), Top Cut Meats (Marrickville), Beak and Johnson (Greenacre and Arndell Park), Wollondilly Abattoirs (Picton). 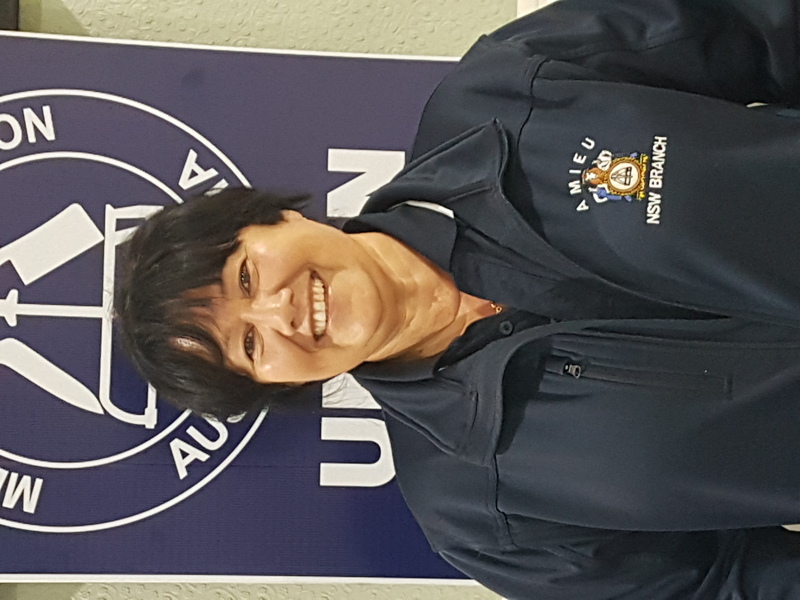 Diana started in the meat industry as a section delegate till a subsequent election occurred where she became the Secretary for 400 members at the JC Huttons site in Oxley QLD. This plant eventually was purchased by Tancred and at the time operated a beef & small stock abattoir, beef and small stock boning rooms, smallgoods operation and a cannery onsite. 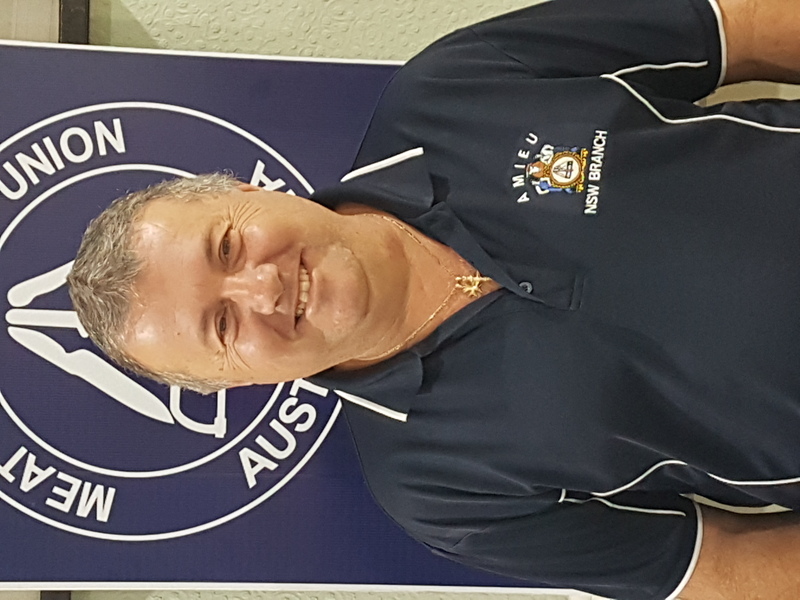 Diana’s service to the Queensland Branch commenced as a State Treasurer & COM Member .In 1993 she was elected to the AMIEU Queensland Branch as an Official and worked in this role as a Branch Organiser for 13 years. 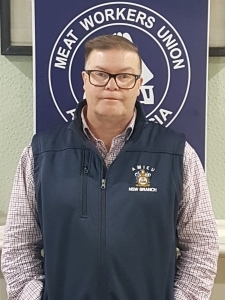 In between the AMIEU jobs & years Diana had worked across all other Unions liaising with delegates and other Union Officials across multiple work places, working with their relevant Industry Superannuation Funds visiting members and looking after workers financial interests. 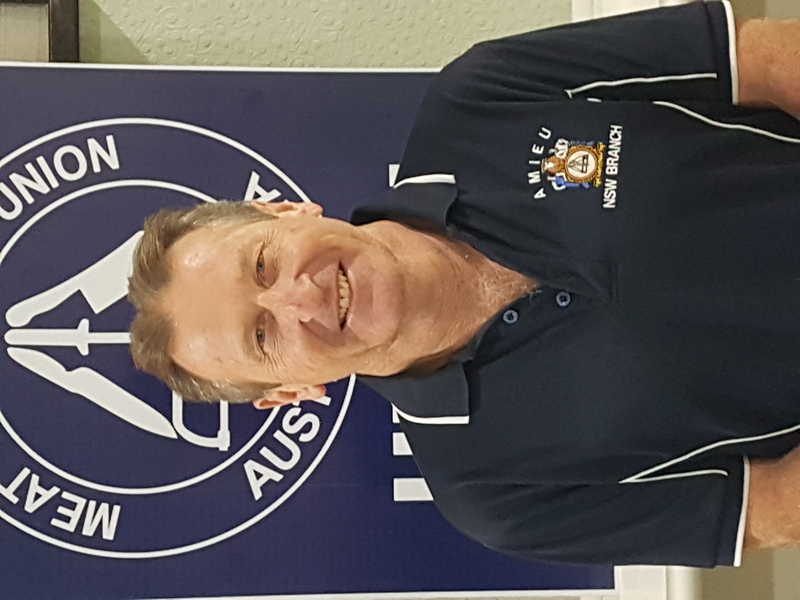 Diana has mentioned that it is an honour to represent the membership in NSW as their Union Official. Diana is looking forward to meeting more members and delegates on her regular site visits. 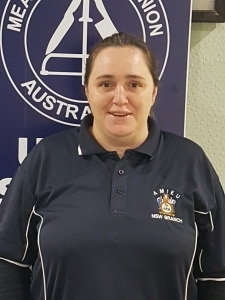 Cathy-May Gill is an aboriginal Official with AMIEU and a proud Wiradjuri woman. 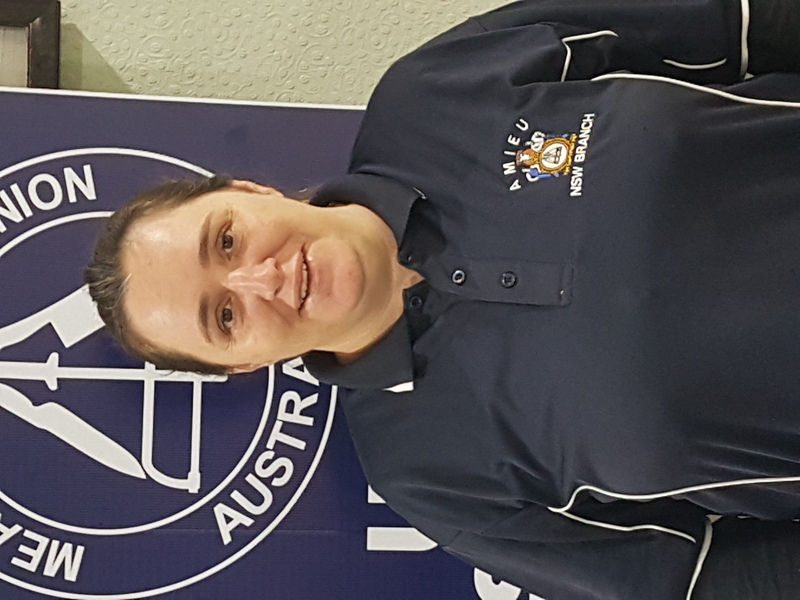 Cathy-May has worked for 13 years in food manufacturing and spent 5 as an Official with AMWU before spending the last 1-2 years working with Aboriginal and Torres Strait Islander people securing training and employment opportunities and assisting them to overcome barriers to employment. 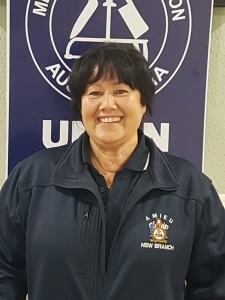 Cathy-may has always held her union values close in all aspects of her working career and is ecstatic to be once again pursuing her passion aiding and educating employees in regards to their rights within the workplace.